I am an ice cream kind of gal, but this time of year it melts so fast. I am so excited to share this delicious treat with you. 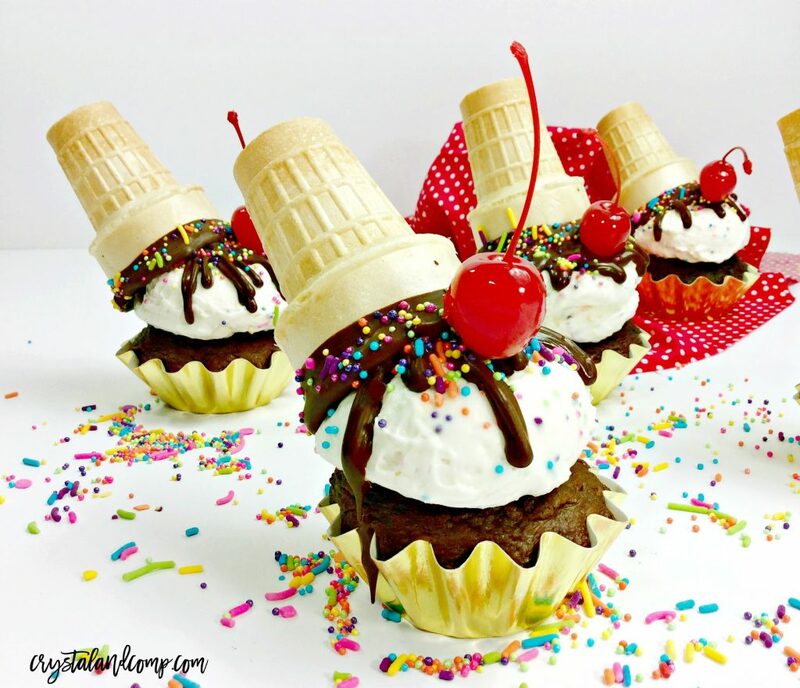 Let me introduce to you ice cream cone cupcakes! 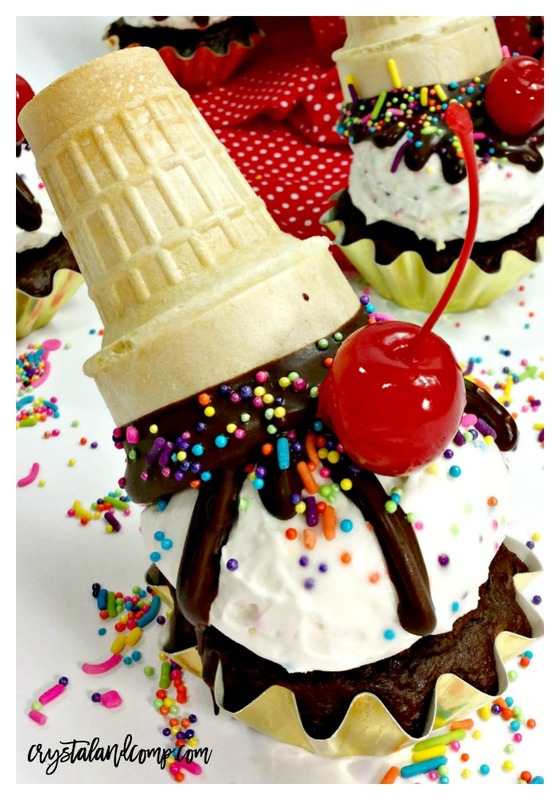 These sweet treats just scream CELEBRATE! And no worrying about the “ice cream” melting! One batch of the best cupcake recipe ever. 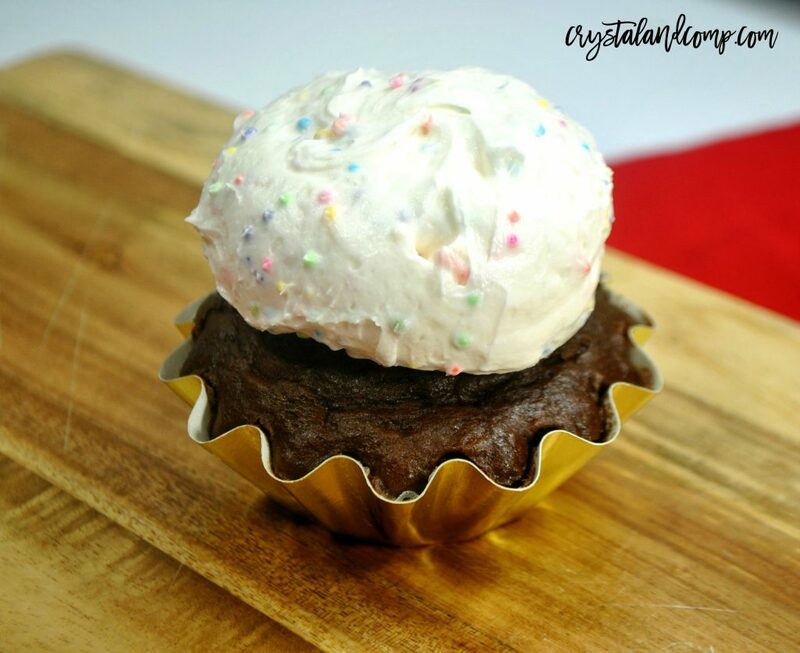 You can create chocolate or vanilla cupcakes with this recipe. I have literally used this cupcake recipe for years. It’s worth it! Trust me. We used these gold cupcake liners. 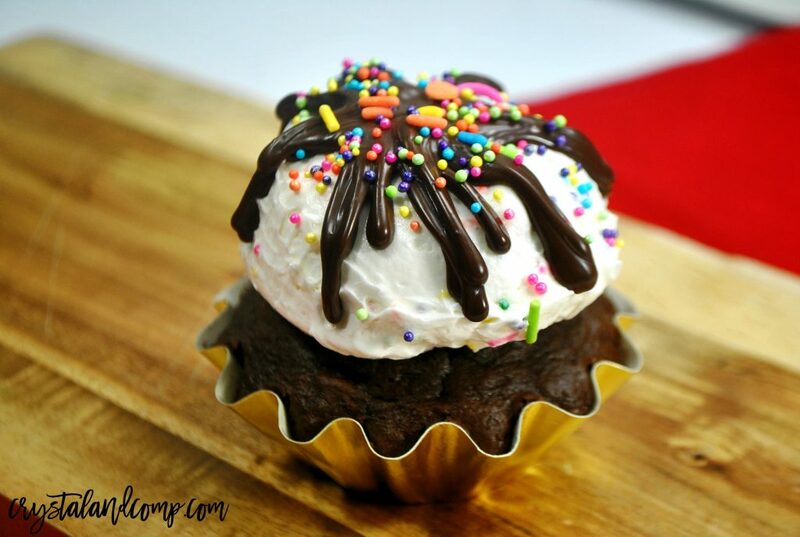 When you make these, ensure you only fill your cupcake liners no more than 3/4 of the way with batter. We need room once they rise to add our ice cream and cone later! Once the cupcakes are done cool them 100% and then it’s time to make the ice cream-ish frosting! It’s amazing! Using a standing mixer, beat the butter on medium speed until it is creamy. Mix in the powdered sugar, heavy whipping cream, and vanilla extract until it is combined well and smooth. If the frosting is to thin, mix in 1/4 C more of powdered sugar. If it’s too thick you can add in 1 tablespoon of heavy whipping cream at a time. Now you’re going to fold in the sprinkles. Once everything is combined and mixed well, you can use an ice cream scooper to scoop a round heaping of the funfetti ice cream-ish frosting on top of the cupcake. Using a microwave safe bowl, melt the Ghirardelli chocolate in the microwave, one minute at a time. Stir and add back to the microwave until it is nice and smooth. Put the melted chocolate into a squeeze bottle. Pipe the chocolate onto the frosting to look like fudge using the squeeze bottle. Super easy! 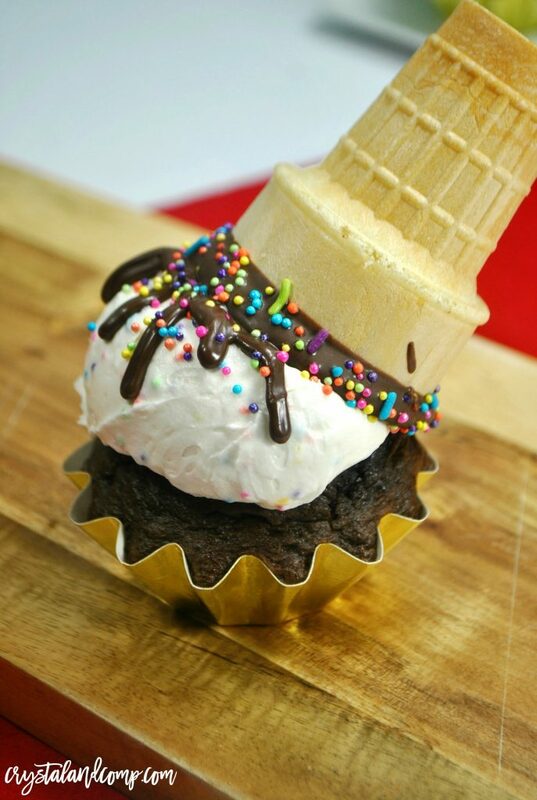 Sprinkle some confetti sprinkles onto the chocolate and top with a ice cream cone. 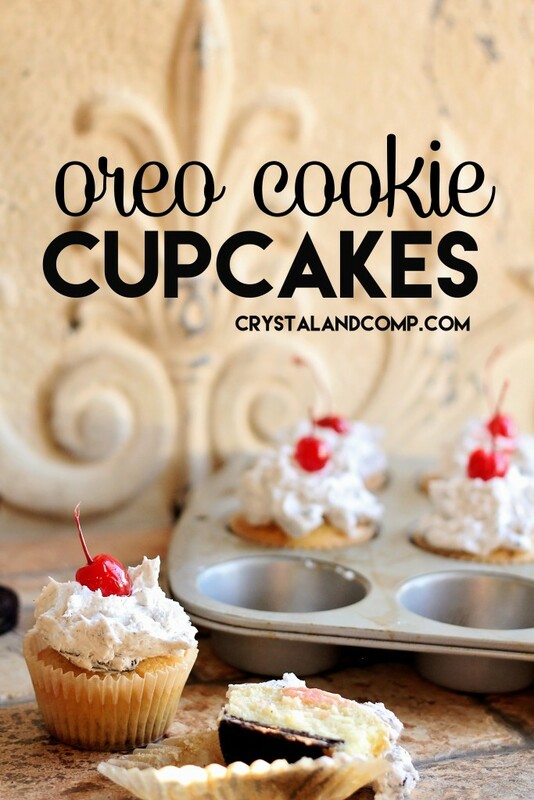 These Oreo Cookie Cupcakes are amazing!